DVOC’s BirdPhilly – 1st Ever Philadelphia Bird Race! Along with the DVOC’s BirdPhilly initiative we have a new birding event taking place right here in southeastern PA, called the Philadelphia Bird Race (PBR). 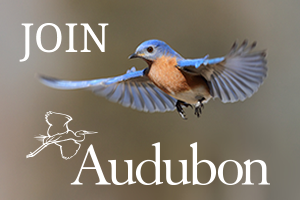 Covering Bucks, Chester, Delaware, Montgomery, and Philadelphia counties, birders (beginners, youngsters, and experts alike) are invited to participate and support the spotlighted causes. 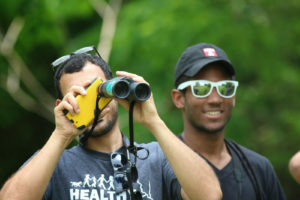 Participants have the option of partaking in hour-long or day-long birding outings with friends, and the youth option offers a way to get kids involved in our favorite past-time. Using the youth model established by the Race 4 Birds Foundation, the Philadelphia Bird Race has youth categories for kids in grade school, middle school and high school, and renowned author of the Crossley ID Guide series Richard Crossley will be on hand at the finish line at Bartram’s Garden on May 17th to present awards to the winning youth teams. All are welcome, and anyone may participate by taking up “big days” in the county of their choice, or by inviting friends out for a “Big Green Hour” when teams try and see as many species as possible while on foot within one hour. 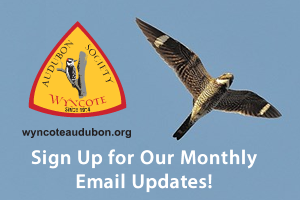 See the BirdPhilly calendar too if you’d like to join one of the BirdPhilly-run Big Green Hours. We hope teams will donate to the cause and solicit donations from friends and colleagues too, as the PBR tries to raise money to support Audubon Pennsylvania’s window-strike collision project and also outreach programs like New Bins for New Birders, and the DVOC Intern Fund at the Academy of Natural Sciences. Come be a part of the fun, and donate to the cause if you have the means. Let’s get out and go birding! By Wyncote Audubon Society|2018-04-03T15:47:21-04:00April 21st, 2015|WAS News|Comments Off on DVOC’s BirdPhilly – 1st Ever Philadelphia Bird Race!